The newest cruise ship in the world right now the Regal Princess has set sail on it’s inaugural cruise from Venice yesterday (May 20th 2014). The Regal Princess is 142,229 tons and is the sister ship to the Royal Princess which entered service in 2013. The Regal Princess arrived into Venice, Italy for the very first time, guests then boarded the large vessel for its seven-day maiden voyage. The cruise will make stops at Corfu, Mykonos and an overnight call in Istanbul. 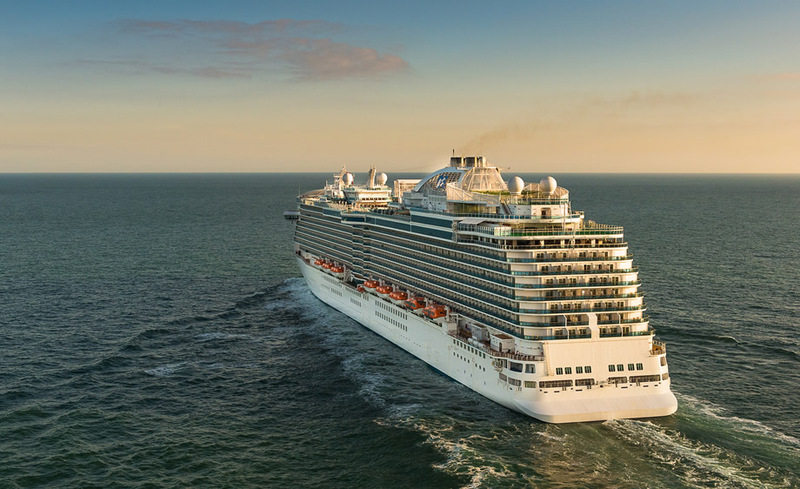 This will be the first time passengers will be able to try out all the features the Regal Princess has to offer including the innovative SeaWalk which was first introduced on sister ship Royal Princess last year. It’s a glass bottom walkway which extends out from the side of the ship. Only brave passengers should walk it! The ship will sail Mediterranean itineraries throughout the summer season. Then in November the official christening ceremony will be held once the Regal Princess arrives in North America this November. The ship will then do popular seven-night Eastern Caribbean sailings from Fort Lauderdale, Florida to Princess Cays, St. Thomas, and Saint Martin.